Could the Mediterranean Diet During Pregnancy Epigenetically Reduce a Child’s Disease Risk? | What is Epigenetics? 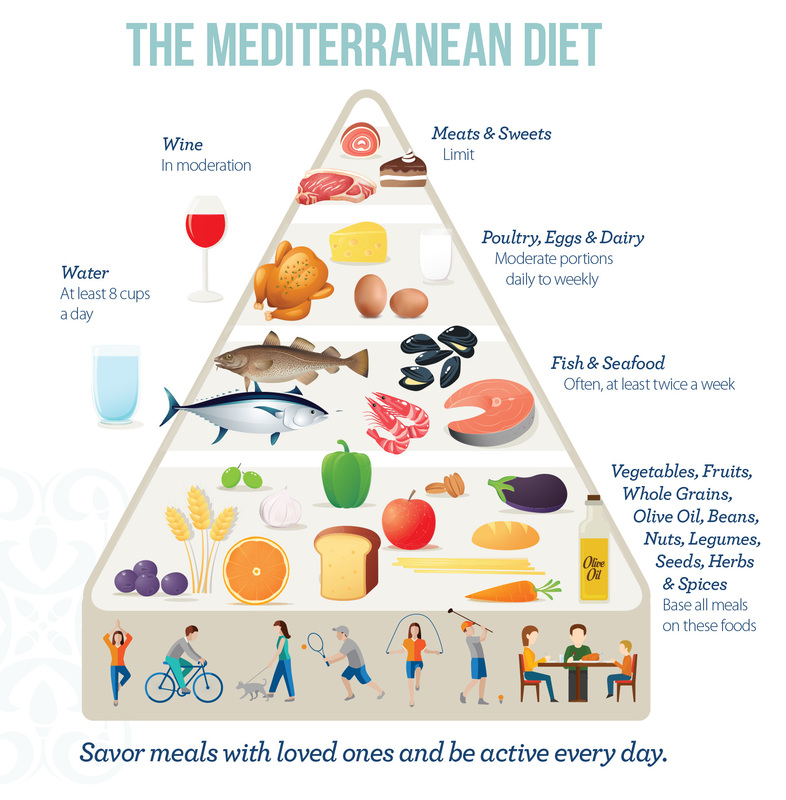 The Mediterranean diet has been associated with reduced risk of cardiovascular disease, cancer, Alzheimer’s disease, obesity, and metabolic syndrome. Taking this a step further, research is now pointing to the epigenetic benefits abiding by a Mediterranean diet could have while pregnant. The main components of this healthy eating pattern might epigenetically protect the fetus from developing diseases later in life by adjusting what are called histone modifications. Inspired by the ancient communities like Greece, Spain, and Italy, this diet emphasizes eating primarily plant-based foods, including vegetables, legumes, fruits, cereals, and nuts. Importantly, virgin olive oil is used as the principal source of fat. Red meat is consumed in low amounts while wine and fish is consumed moderately. 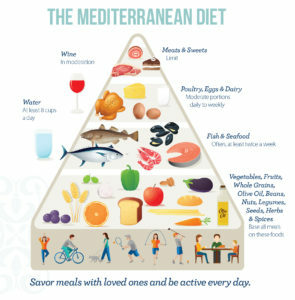 Researchers from the Complutense University of Madrid in Spain reviewed the potential epigenetic benefits of a Mediterranean diet and how it might protect a child from metabolic syndrome. Metabolic syndrome, formerly known as Syndrome X, is a cluster of metabolic disorders which increases the risk of a patient developing cardiovascular disease and Type 2 diabetes. Approximately 32% of the population in the United States has this syndrome. To be diagnosed with metabolic syndrome, a person must have at least three of the five metabolic risk factors. The risk factors include abdominal obesity, having excess fat in the stomach area and a large waistline, high triglyceride levels, low HDL levels, hypertension and high fasting blood sugar levels. The likelihood of being diagnosed with metabolic syndrome is closely linked to overweight and obesity. More than one third of adults and 17% of children and adolescents in the United States are obese. As these numbers continue to increase the prevalence of metabolic syndrome will also increase. Epigenetic changes during pregnancy have been shown to impact a child’s health even before they’re born. For instance, low levels of exposure to a widespread chemical called bisphenol-A (BPA) can negatively impact fetal development. Exposure to BPA during a sensitive period was shown to lead to permanent and disruptive epigenetic alterations. Image Credit: NC Research Campus. In addition, eating certain foods while pregnant might also predispose children to developing disorders like ADHD. A high-fat, high-sugar diet during pregnancy has previously been connected to ADHD in children. And it doesn’t stop at mothers –a father’s diet has also been shown to epigenetically influence his child’s mental fitness. Similarly, there is strong evidence that epigenetic changes that occur during fetal development play a key role in the development of metabolic syndrome. Healthy eating patterns have been shown to decrease the chances of an adult developing metabolic syndrome. Recent studies have also demonstrated that healthy eating during pregnancy could protect the fetus from developing metabolic syndrome throughout its life through epigenetic changes that occurs during development. In mice, exposure to a high-fat diet resulted in lower acetylation levels of histones at the promoter region and decreased expression of adiponectin, which resulted in lower levels of circulating adiponectin, a protein involved in glucose regulation and fatty acid oxidation. Circulating levels of adiponectin are inversely correlated with in body mass index. This demonstrated how exposure to a high-fat diet during pregnancy results in epigenetic modifications that cause the overproduction of glucose in the liver, which could lead to Type 2 diabetes. Maternal overfeeding and excessive adiposity have been linked in several studies to increased risk of obesity. This is further confirmed in a recent study where more than 2500 German mothers found that those who followed a Mediterranean diet gave birth to children with lower fat mass index than those who followed a western diet. This study shows the benefits that following the Mediterranean diet during pregnancy may have on children. Mothers who received docosahexaenoic acid supplements, an omega-3 fatty acid, during their pregnancy, had infants with hypermethylation of the IGF2 gene promoter region, resulting in decreased expression levels of IGF2. Obese patients who are predisposed to diabetes have increased levels of IGF2. Therefore, docosahexaenoic acid supplementation during pregnancy could cause epigenetic changes that may protect the offspring from developing metabolic syndrome. The fetus’s development is susceptible to environmental factors. Many of the environmental factors that they are exposed to are due to the consumption of the mother. There is strong evidence that what the mother ingests can cause epigenetic changes during development, ultimately predisposing her offspring to different disorders. Maternal nutrition during pregnancy is critical since it could have an effect on the DNA methylation patterns of the child. The studies mentioned here demonstrate how a Mediterranean diet during pregnancy can protect against the development of metabolic syndrome which can lead to Type 2 diabetes and cardiovascular disease. Source: Lorite Mingot et al. (2017). 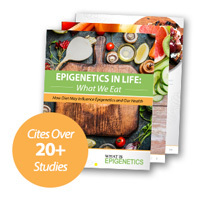 Epigenetic effects of the pregnancy Mediterranean diet adherence on the offspring metabolic syndrome markers. J Physiol Biochem, 73:495-510.